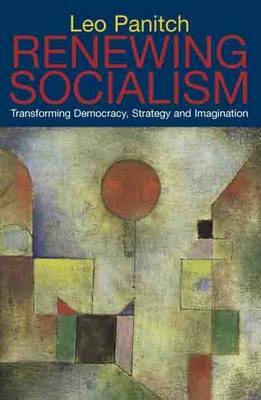 This new edition of RENEWING SOCIALISM adds an in-depth interview to seven key essays. The interview asks:	What impact is American imperialism having on left strategies in various parts of the world today? What common interests work for solidarity and against divisions of race, gender and class? As Green parties turn towards market socialism, what space is left for a red-green anti-capitalist coalition? Can new socialist parties avoid mistakes of Communist & Social Democratic parties in the 20th century? The essays address key questions of left strategy: Rethinking revolutionary and reformist practices, the strengths and weaknesses of the old and new left; the fall of Communist regimes (with personal observations from 1990); the dialogue between democracy and Marxism; Marxa? ?s Manifesto in contemporary perspective; class analysis and new strategies for labour in the context of globalisation; and the role of hope and imagination in envisioning a socialist future.